-Description: Just like the avatar only diffrence is 6 arms and a 3rd eye hidden behind a leaf headband. Personality: Zanza is extreamly intelligent. He has the mind to do unbeliveable things. The problem is his arrogance. Zanza has been getting into fights since he was a young child usally him versus multiple oppenets and for as long as he can remember hes been winning. This has given him such an air of arogance that it sometimes blinds him. However he doesnt get angry anymore. As he would put it "He just doesnt have the energy to anymore" Instead of getting angry he gets cold. Not cold to the touch but just buries his feeling and puts on a netural face. Likes: His village and those who can see through his apperance to him and be his freind. Dislikes: Sound village and people who look at him weird and say crap cause they assume they know it all. Description: milar to the Clone Technique, this jutsu creates clones of the user. Unlike the Clone Technique, these clones are actual copies, not illusions. The user's chakra is evenly distributed among every clone, giving each clone an equal fraction of the user's overall power. The clones are capable of performing jutsu on their own and can even bleed, but will usually disperse after one or two solid blows. They can also disperse on their own. The clones will be created in roughly the same condition as the original. Unlike other clone techniques, they can't be detected by the Byakugan because the clones have the exact same amount of chakra and aren't made from any other substance, making them indistinguishable from the actual person. In the anime, Sasuke Uchiha claims that the Sharingan can distinguish clones from the original, however various events throughout the series seem to indicate that this is not the case, implying that the Sharingan was merely used to keep track of the original's movements. Description: The Puppet Technique is a unique ninjutsu fighting style; this jutsu uses strings of chakra to control puppets like marionettes. Any number of chakra strings can be used to control a puppet, but users with more skill can use fewer strings per puppet. Both Chiyo and Sasori demonstrated the ability to control entire puppets perfectly using just one string. While most puppeteers would normally be able to control ten puppets at most (one per finger), Sasori's self-modification allowed him to control up to one hundred puppets at a time. Apart from being used to control marionettes, the chakra strings can be attached to other objects, allowing the user to control, or at the very least disrupt, other things. In one instance, Kankurō uses chakra strings to trip Naruto Uzumaki when they first meet. In another, Chiyo uses chakra strings to control a person like a puppet. The strings can be made invisible, as Chiyo did with the Manipulating Attack Blades to sneak a string to bind Hiruko's iron tail. This technique has few weaknesses: according to Shino Aburame's observations during his fight against Kankurō, the Puppet technique is a long range style, meaning that the puppeteers are weak against close range fighters. Since most puppeteer use his or her hands to manipulate the puppets, if their hands are disabled, then the technique can be neutralized. Also, while controlling the puppet, the user is wide open if the opponent bypasses the puppet. For this reason, puppeteers avoid hand to hand battle, relying almost exclusively on their puppets instead. 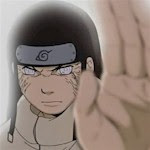 Description: Sakura gathers an immense amount of chakra into her fists and then releases it on contact with an object, usually the ground, and is pulverized into minute pieces by the excess shock, which are then scattered like flower petals, giving rise to the name "Cherry Blossom Impact". It is similar to Tsunade's Painful Sky Leg. Description: This jutsu allows the user to transform either themselves or another object into the appearance of another person, animal, or object. This is one of the basic jutsu taught at the Konohagakure Ninja Academy. Fundamentally, all ninja know this jutsu. The transformation technique is considered to be among the more difficult E-ranked techniques, since it requires constant emission of chakra while mentally maintaining the form. On top of that, the user would be, most likely, interacting with the environment. This puts much mental strain on the inexperienced ninja. Tsunade of the Sannin possesses a more advanced version of the Transformation Technique, where she disguises her 50-year-old self as younger versions of herself. Her technique is unique as it seems to be permanent, nor does she need to exert herself to maintain it for a long time, whereas a normal transformation would be dispelled when the user is injured. This implies that the form is a physical transformation and that it only breaks when Tsunade is low on chakra. Kagerō has also shown such a transformation, warping her appearance into a grotesque, hunchback man. Description: This jutsu lets the user quickly switch places with another nearby object, such as a plant (normally a section of a log), an animal, or even another person within reach using the Body Flicker Technique, the moment an attack hits. This creates an optical illusion, making the enemy think the attack was successful. The user can then use this confusion to escape or launch a counter-attack. Exploding tags can be attached to the replacement for an added surprise. Basically all ninja know this technique. The anime has a number of other objects being used for this jutsu, such as a boulder, mud, a scarecrow, and even a large rolled-up carpet. These items are usually nowhere in sight, suggesting that they are merely gags meant to lighten up the situation and not an actual part of the jutsu. Additionally, the normal practice of switching places with a section of log is done in several places that have no such thing anywhere nearby. Description: By excreting his Sticky Gold from his pores, Kidōmaru can quickly create a temporary armor that is capable of blocking chakra once exposed to oxygen and even blocks the Hyūga clan's special taijutsu style, the Gentle Fist. Description: This technique makes a cocoon of web around the opponent, immobilizing him and leaving him open for other jutsu. The stickiness comes from Kidōmaru mixing his chakra with his body fluid. The technique is so refined, that even after having left his body, his chakra will still continue to flow through the thread to hold his opponent in place. Description: Emitting a stream of spider web from his mouth, Kidōmaru will grab onto a nearby opponent, allowing him to swing them. Description: This technique allows Kidōmaru to release a form of golden liquid from his mouth and sweat glands. When this liquid hits the air it can harden to be as strong as steel depending on how much chakra he adds to it. Kidōmaru can use this technique to form deadly spikes, powerful arrows, kunai, or other projectile weapons. Description: Kidōmaru expels Spider Sticky Gold from his mouth and gathers it to form a large warbow. He will then open his third eye on his forehead to increase the pin-point accuracy of his shot. Kidōmaru is known for not making any wasteful attacks since each attack is used to further refine ways to kill his target. With his bow firings taking several forms, each time he refines the attack, the power and accuracy will further increase by adding a drill to the arrowhead or the use of chakra control to the arrow through a string attached, respectively. The impact of each arrow is strong enough to create craters in the ground, and with the drill added, pile drive through forests. Description: If Kidōmaru is in enemy territory and needs to rest while still remaining on guard, he can lay spider thread throughout a surrounding area. Most ninja will recognize the thread as common spider web, however; this thread will run all the way back to a finger on Kidōmaru's hand. Slight movement against a webbing thread will pull it all the way back to Kidōmaru's finger and alert him to the nearby presence. Description: After gathering his spider thread into his mouth, Kidōmaru will spit net-like cobwebs of the thread at his target. These nets will fly through the air, and upon hitting an opponent, will stick and bind the ninja to any nearby surface. 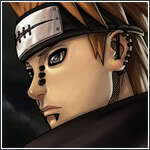 Description: This jutsu was used by Kidōmaru in order to trap Naruto Uzumaki and his shadow clones in a giant web. Kidōmaru spews a ball of spider web and unrolls it into a giant web. Like all of his webbing, the threads cannot easily be cut. Acadmey Arc: Befor going to the acadmey Zanza's parents had tried to keep him inside as much as possible so when he went to his first day at the acadmey he was suprosed to find that he was the only one with 6 arms. Zanza's hated the acadmey. Every day he got picked on and attck he had almost no freinds. Zanza used to have to run home everyday after school or he would get beat up. One day Zanza needed a place to hide so he ducked into a shop. Not noticeing what the shop was until a man behind the counter shouted at him. After a few minutes of quick explaining Zanza had met his first friend an old man named Shin. He was the man who owned a puppet shop. After that day Zanza went back there every day and talked with Shin. After about a week Shin decided to teach Zanza the art of puppets. With a third eye and 6 hands Zanza had the capabilties to manage many more puppets then anyone else. Years went by with the same process over and over again. Zanza would be a loner in class with the only person who acted nicely to him was the teacher but Zanza could tell it was a forced kindness. Then after School Zanza either got into a fight and then ran or just run to the puppet shop where Shin taught him how to manage and use puppets every day for 2 years. On the first day of school 2 years after he had started Zanza made his usual trudge to school and sat down in class. As usual he sat in the last row by himself. Then after about 10 minutes of all the kids pouring in. A large number stood at the front. The teacher explained that these were the new students. Then he told them to sit anywhere. Like last year Zanza summed he would be sitting alone. And then one boy sat beside him. "Whats your name?" He asked. Zanza glance over "Zanza." He said the boy spoke again. "Im Fudo. Nice to meet you" Then the boy stuck out a hand for a handshake. Zanza extended his middle arm on the right side and shook the boys hand. "Nice to meet you"
From that day foward the 2 sat together in class and were freinds. However after school the anitics were the same. When The graduation day came Zanza was happy to be out of the school but sad to be leaving his wonly freind. Genin Arc: Zanza got paired with a nara and a amikichi and a prick of a jounin. The jounin treated Zanza worst then the other kids had in the acadmey. Zanza skipped almost every single "team meeting" instead he went to Shins shop and played with the puppets. When chunnin exams came around he attempted to enter by himself which was unallowed so he found his old team again and pair with them. Once in the exams he found his former team mates to be in his way so he destroyed them and used the scroll to pass the exam himself. Chunnin Arc: Once a chunnin Zanza didnt need a team to enter the jounin exams. So with the ocasional visits to shins shop Zanza went on training. When time for the chunnin exams came around 2 years later Zanza went and watched. His old freind fudo passed with ease. Zanza didnt see fudo again after that until he became a jounin and the man awarding the postion to him was fudo the hokage. Enishi walked into the small room. It was filled with empty benches placed behind elongated tables. The entire room was stadium style seating with pale tan walls floors and furniture. The wall opposite the door was entirely glass windows looking out onto the village below. The door was in a corner to the left was the tables and on the wall to the right was a large chalk board. Enishi moved to the seat he used in class. The tables were 3 across with rows on both sides of each table. Due to his class size these tables were 3 people per a table some crammed 4 because of his classes size. 5 if necessary but that was without elbow room. His seat was at the table closet to the door on the side of the bench towards the window. The room was filled with other newly made genin. none of them sitting most were crowded around the front of the room admiring gifts from there parents and there shiny new head bands. As he sat the girl named Jessica walked up to him. "Were on the same team." She said with eyes closed and smile wide. Enishi just stared at her as she moved around the table and sat on the bench beside him oddly close. Enishi didn’t particularly care. A moment later a boy within the class named ace walked towards the bench stopping and striking a pose with his hands rolled into fists on his waist and his chest stuck out he looked at the Enishi and Jessica and spoke triumphantly. "You two have the pleasure and of basking in my greatness TEAMMATES!" He shouted the last word oddly loud before sitting on the other side of Jessica. Enishi just sat there in wait. Slowly but surely the students legs began to tire and they moved towards the benches. About 10 minutes after Enishi arrived the instructor did. Moving into the room he barked "EVERYONE SIT DOWN, PREFERABLY WITH YOUR TEAM MATES. IF YOU DONT KNOW WHO THEY ARE THE LIST IS UP HERE." Within minutes the genin took there seats. The instructor moved to the door and stuck his head out and made a wave motion whit his hand. Stepping to the side a single file line of Jounin walked calmly into the room. The proctor read off a list of names a team number and then a Jounin name. One team went another team went. After a couple of minutes of over excited genin and some just as over excited Jounin making there greetings and leavening the proctor said something that caught Enishi's ears. "Team 9. Consists of Jessica Hisui and her faithful companion Bruno her dog. Ace Yamanaka and last but not least Enishi Hyouton" Enishi knew he wasn’t meant offensively but the comment sounded like an insult to him. Brushing it off He looked up there was only 2 Jounin left in the room but according to Enishi's math there were 3 genin teams. "Your Jounin is..." He looked up and around. "Apparently not here." Just as he finished speaking a young women burst through the door black hair flowed like it was a second behind her in time. "Sorry I'm late the babysitter for Zanza was late so I was...." The proctor just glared at her "Your right anyways who’s my team?" The proctor took his glare from her to us "TEAM 9" he shouted unusually high "This is your Jounin miss Kayley Nara. Unfortunately for you her skills are just as bad as her ability to be on time. Lucky for us for now she’s still better than you three now get out of my sight." Kayley stepped out of the room as Enishi followed Jessica who was behind Ace in a single file line out of the room he noticed the proctor staring at him. As he moved out into the hall there Jounin was already at the end of the hall Enishi could tell from there she was on the verge of tears. Enishi just sighed thinking to himself Crap a weak Jounin Enishi and his teammates didn’t get close to her until they were outside the building by this point she seemed to have regained her composure. She was standing besides the building read a piece of paper. "Okay so according to this your team number is the same as the practice area reserved for your team." While she was speaking a small dog sat at her feet. Enishi thought that it was her dog meaning there Jounin was a Hisui which Enishi was no fan of he thought the clan was to weak to survive on there own so they used animals. Jessica next to him patters her leg and the dog ran up to her and leapt into her arm. Enishi breathed a sigh of relive to himself that the Jounin wasn’t a Hisui but he knew this didn’t mean she wasn’t weak.